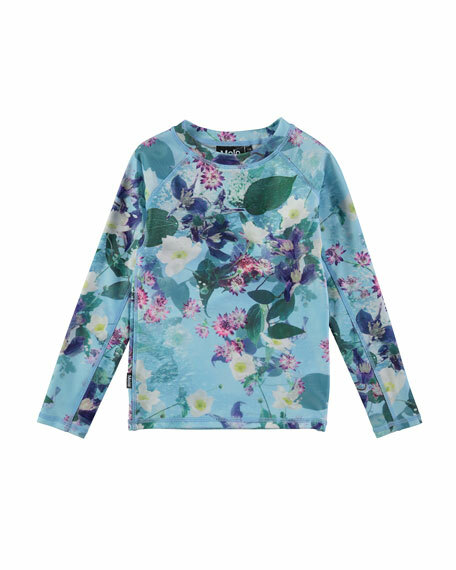 Molo "Neptune" rash guard in floral print. For in-store inquiries, use sku #2419263. 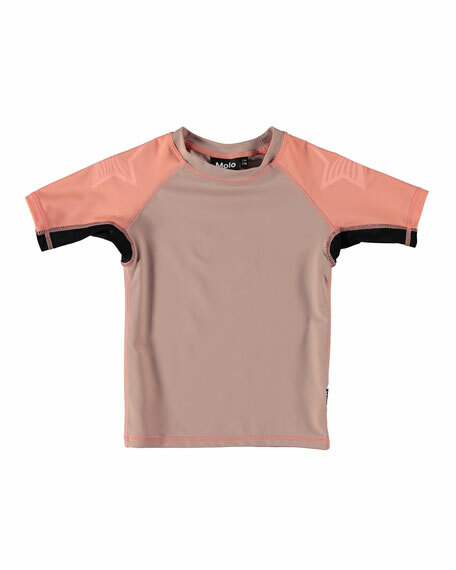 Molo "Neptune" colorblock rash guard. Crew neckline. 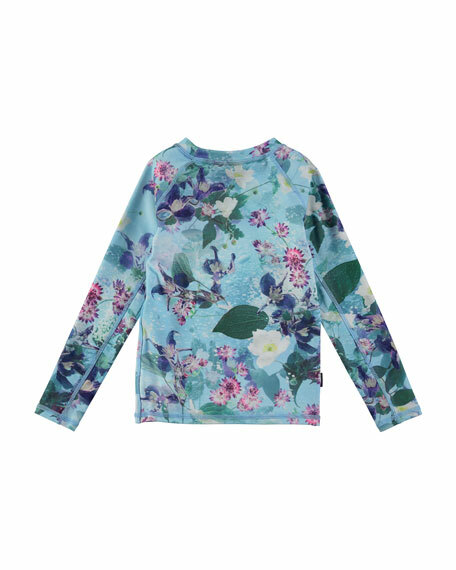 Short, raglan sleeves. Star graphics on sleeves. Pullover style. Nylon/spandex. Imported.